HONOLULU – United States officials took most humpback whales off the endangered species list Tuesday, saying their numbers have recovered through international efforts to protect the giant mammals. The move applies to nine of the 14 distinct populations of humpback whales. Their numbers have steadily grown since a global ban on commercial whaling started nearly 50 years ago, the National Marine Fisheries Service said. The moratorium remains in effect. However, four distinct populations remain endangered and one is now listed as threatened, some of which inhabit U.S. waters. The Central America population, which feeds off the West Coast, and the Western North Pacific population, which inhabits the Bering Sea and Aleutian Islands, are still endangered. The Mexico population, which feeds off the West Coast and Alaska, is threatened. 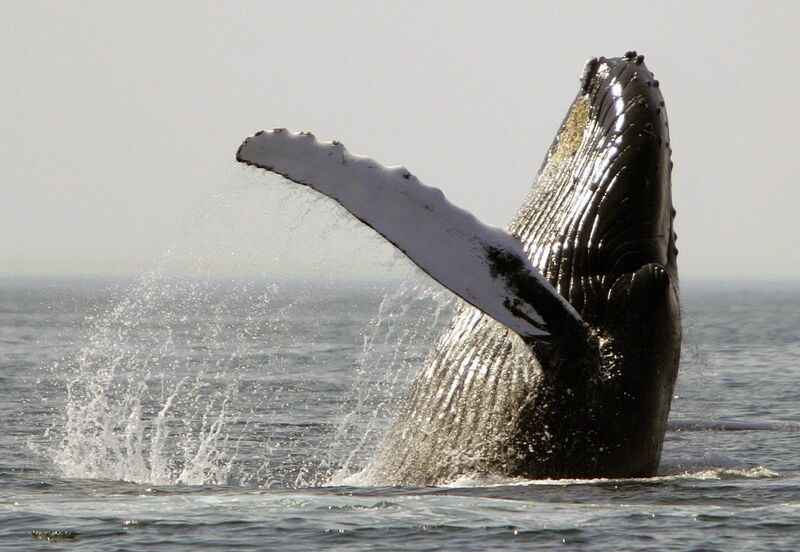 The Fisheries Service proposed removing most of the world’s humpback whales from the endangered species list last year, but all the mammals are still protected in U.S. waters.